Monty Python’s Life of Brian opened in New York the year after shooting wrapped in Tunisia. It was a soft opening at first–it was slipped into one theatre and ran largely without controversy for several weeks. 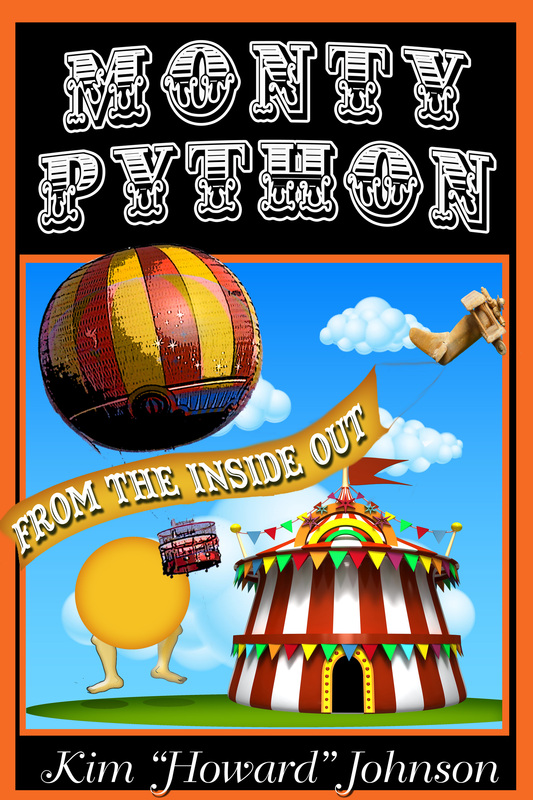 Then in September, the Pythons themselves all flew into town (and so, naturally, did I). They kept to a rather busy schedule, doing lots of TV, radio, and press interviews to promote the film, which was getting great reviews but also upsetting a few folks (Graham Chapman told me “There are some people whom one would wish to offend”). While I was walking to their Central Park South hotel, I saw a full-page tabloid headline from one of the smaller newspapers–I can’t recall precisely what it said, but it seemed a little jarring to see a full-page headline devoted to the film. When I got back to their hotel, I ran into one of the people with Handmade Films. When I told her about it, she was quite interested, so I promised to get her a copy if I could find one. Not long afterward, I found and bought the last remaining copy I could find of the tabloid, and dutifully headed back to the hotel. For some reason, there were dozens of people gathered in front, but I brushed past them and made my way to the elevator. I rode up to the suite that was serving as base camp for Handmade and knocked on the door. A smiling John Goldstone, the film’s producer, opened it and said hello. “Hi, John,” I smiled, and brushed past him, heading toward the adjoining room. I had planned to drop off the newspaper and leave. John appeared a little uneasy, but I was moving too quickly for him to stop me. Then, from the far corner of the room, I heard someone call “Howard? Howard Johnson?” I turned to see George Harrison grinning back at me. I was a little stunned. The one and only time I had met George was nearly a year ago, in Tunisia, during the slightly chaotic evening that I wrote about last week. I hadn’t noticed him, but he recognized me! I later realized that in addition to our conversation, he probably recalled me from the Python fanzine that I had given him a year ago. If he could remember that, he was a serious Python fan. We chatted for a few minutes, then John Goldstone politely interrupted George and reminded him that they had an appointment for lunch. I rode down the elevator with them, with George chatting away. I asked him about the rather large crowd in front of the hotel, whether it was for him, but he shook his head “no” and speculated that it was for The Who, who were playing their first concerts since Keith Moon’s passing. When we got to the first floor, he didn’t seem to want to leave. But business called, and they slipped through the lobby to the adjacent Stork Room, avoiding the crowd outside. I was a little surprised I hadn’t recognized him, but not particularly bothered. Riding in an elevator with Bruce Springsteen was anti-climactic after visiting with my pal George. This entry was posted in Uncategorized and tagged Beatles, Bruce Springsteen, George Harrison, Graham Chapman, Keith Moon, life of brian, Monty Python, Monty Python's Life of Brian, New York, python, Stork Room, The Who, Tunisia on October 30, 2013 by howardjohnson1985. 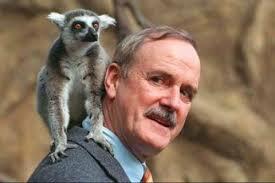 Wishing everyone a very happy John Cleese’s birthday! Introduced the students in my iO Pilot-writing class to Fawlty Towers yesterday. They seemed impressed. Smart group! This entry was posted in Uncategorized and tagged John Cleese, Monty Python on October 22, 2013 by howardjohnson1985. 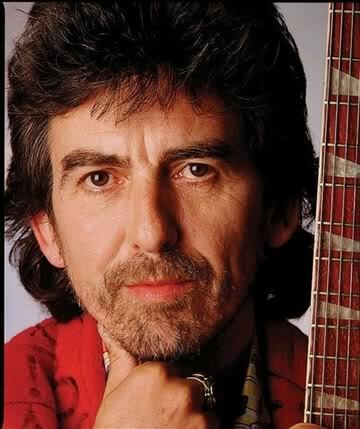 I’ve told the story before, but who doesn’t like to hear a George Harrison story? I was on the set of Monty Python’s Life of Brian in Tunisia, and we had been filming for 4-5 weeks. George had famously stepped in when the original backers of the film backed out (actually, chickened out is more accurate). He simply wanted to see the movie, and so agreed to bankroll the entire production. That’s the kind of bloke he was. There were rumblings on the set that the executive producer (George) would be flying down for an overnight visit. (“He wanted to see how we were spending his money,” quipped Eric Idle.) But as time went on, it grew dark and we had to wrap for the day. Some of us headed to the downtown hotel to watch the rushes. The screen and projector were set up, but there was more milling around than usual, and it became obvious that they were being delayed for a reason. I overheard Eric mention that they’d like to hold out a few minutes longer so that George could see them, and so we waited even longer. But finally, we could wait no longer and they began. About halfway through. there was a slight commotion in the back as a small group entered the room. I could make out Eric and his wife, and a couple of other people. They found seats and settled in, but there was still an air of excitement in the room. But the rushes played on, to much laughter, and notes were made. When they drew to a close, the audience stepped out of the small room, and people mingled outside the production office. I took the opportunity to slip George one of my Monty Python fanzines, and he thanked me and continued talking to Michael Palin. I decided to grab a drink in the bar, and a few minutes later, George and Eric entered. George began thumbing through my Python zine, joking and making general comments about it. I was happy to discuss it with him briefly, and he asked if I was joining them for dinner. “Sure,” I said, being no fool. As it turned out, George and his then-business partner, Denis O’Brien, had decided to buy dinner for some of the cast and crew, and he included me in the group. We had drinks while the large table was set up in a separate room, then we filed in and found a seat. Drinks soon materialized, and George made a toast: “Eat, drink, and be merry, for tomorrow the money runs out!” he joked. 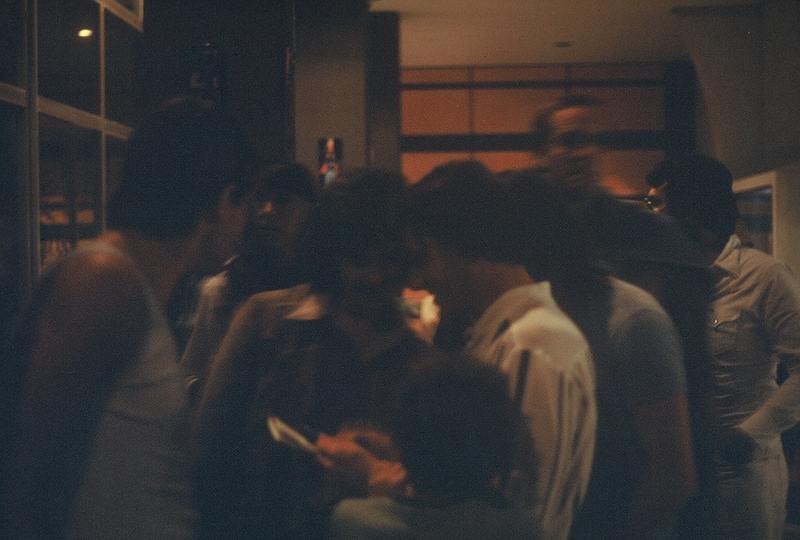 He pulled out a photo of his baby son Dhani, and showed the group. Baby Dhani was dressed in a miniature Gumby suit, thanks to his Uncle Eric. Meanwhile, someone thought it would be a good idea to send in a Tunisian band, but the volume was obviously too much for the small room. 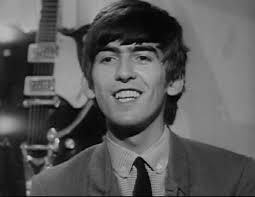 George showed a producer’s ingenuity by grabbing a bread roll, tearing off a couple of small pieces, and shoving them in his ears until the musicians were politely dismissed. It was, as the Brits would say, a very jolly evening. Next: George and I become pals. This entry was posted in Uncategorized and tagged Beatles, George Harrison, life of brian, Monty Python, Monty Python's Tunisian Holiday on October 20, 2013 by howardjohnson1985. In Tunisia, heaping abuse at a group of poor crucifees below (a bit that was cut from the final film). And here’s the only reason I can still remember! British cemeteries are fascinating. When I was staying at Graham Chapman’s house during my first Monty Python-inspired trip to London, he casually mentioned “Karl Marx is just up the road.” I was slightly confused, until he explained that Highgate Cemetery was about a five minute walk from the house, and Karl Marx was indeed one of his neighbors. “People are always blowing it up,” he added casually. One of the reasons British cemeteries are more interesting than American ones is that they’re just so OLD. Take a walk through, and it isn’t hard to find tombstones that are older than America. But British cemeteries also have more than their share of mysteries. Brompton Cemetery, near Kensington in London, has a time machine in one corner. Yes, you read that correctly. When I was in the early stages of writing the book that became The Last of the Time Police,” I stumbled upon the story of this strange but true structure, and the people who created it. Why they created it, and how it got there, is still a mystery. 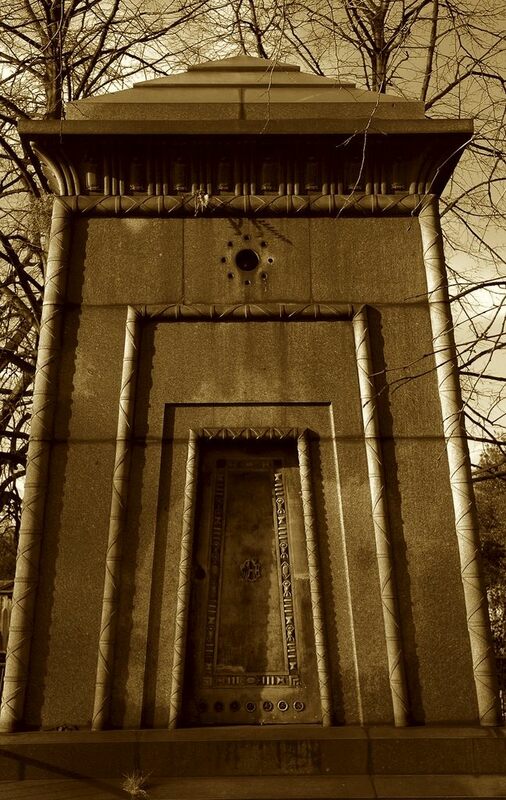 Even stranger, the mausoleum/time machine almost looks like it was built by ancient Egyptians. In fact, it may have been built by a Victorian inventor called Samuel A. Warner, who also invented the first torpedo. When Warner demanded a huge sum for one of his inventions, some claim that he was murdered to prevent it from falling into the hands of Britain’s enemies. Both Warner and Bonomi are buried near the mausoleum, which is allegedly occupied by a trio of Victorian spinsters, about whom very little is known for certain. The mother, Hannah Courtoy, is rumored to have been a royal mistress, and extremely wealthy; two of her three daughters are supposed to be buried with her. Nobody knows for sure. The key to the 20-foot tall mausoleum was lost and no one has been inside in more than 120 years. Of course, that gave birth to rumors that the tomb is empty, and that some or all of them are traveling in time. Some people laugh at that. What they can’t laugh at is the fact that the mysterious mausoleum is the only structure in the entire cemetery for which there are no plans (and this was at a time when the schematics for any structure proposed for Brompton Cemetery had to be carefully studied before approval). This entry was posted in Uncategorized and tagged Brompton Cemetery, Courtoy, Egyptologist, Graham Chapman, Joseph Bonomi, Karl Marx, Kensington, London, Monty Python, Samuel A. Warner, The Last of the Time Police, time machine on October 17, 2013 by howardjohnson1985. This entry was posted in Uncategorized and tagged Improv on October 15, 2013 by howardjohnson1985.